I spotted this Harlan's Red-tailed Hawk today on the east side of Canon City. It was very shy flushed when it saw me photographing it from more than 250 feet away so photos are not the best--and it was 5:30 pm so light was low. 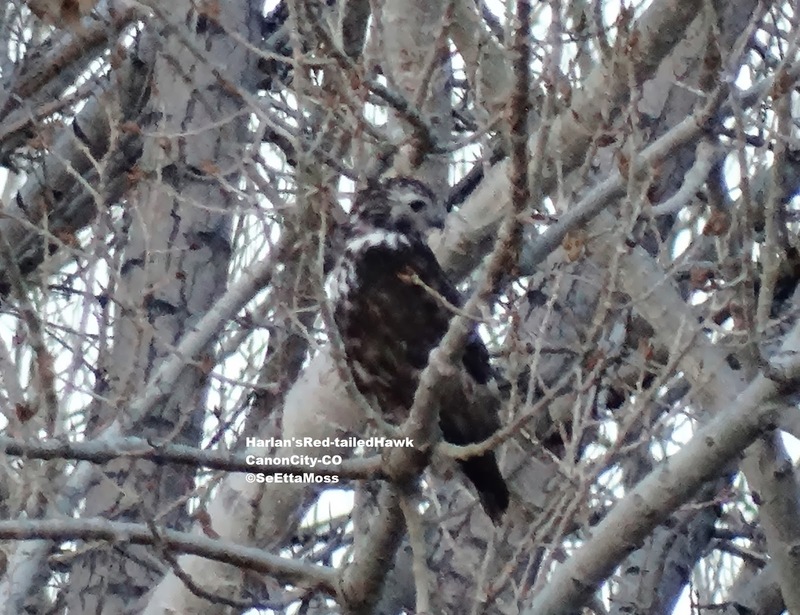 With it's mostly white face, dark crown, brownish-black body, streaked white breast, blackish belly I believe this is a Light morph (or using Wheeler's scheme, a light intermediate morph) Harlan's Red-tailed Hawk.